Rowland Hill completed this 15' x 4' York Delaware Ducker in November 2000. He got the plans from Mystic Seaport Museum. Planking is epoxied Sapeli marine plywood. 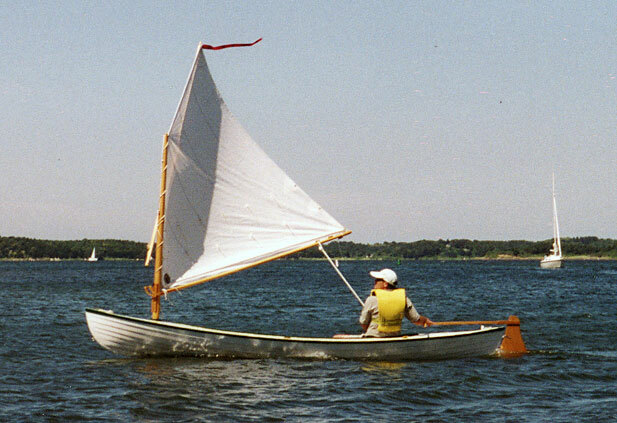 Rowland used oak for the stem, rudder, dagger board, and cowling. 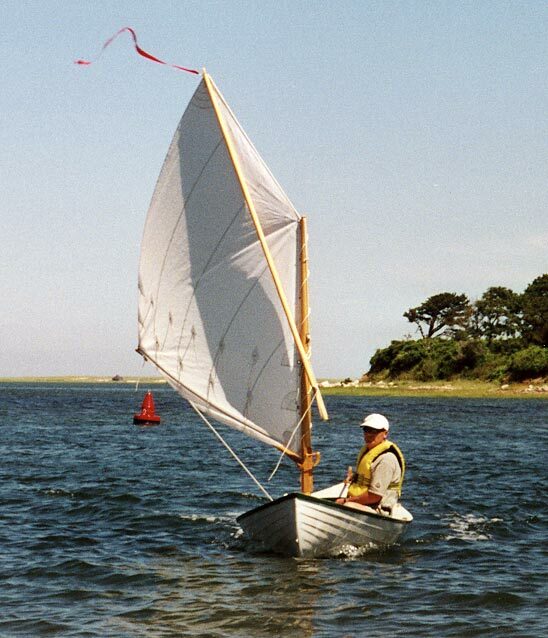 He and his son sail the boat in Pleasant Bay, Cape Cod.